CD sales are still being eroded by the online revolution, which sees digital downloads continuing in popularity. Apple's iTunes is leading the pack in a survey by the NPD Group, which measures sales of CDs and digital downloads, with Amazon rising to fourth place with significant year-on-year sales increases. 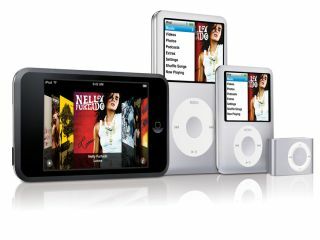 The figures are for the first half of 2008, from January to the end of June, and concerns music sold in shops and online in the US. However, because iTunes only sell digital downloads it suggests that the sales of physical CDs is continuing to slump. Contrary to this, the rise of Amazon in the listing suggests that CD sales aren't doing as badly as it seems, as Amazon continues to shift CDs via its online store. It's just bricks-and-mortar stores that are really suffering.